Can you put that I found them? I just wanna see my name that I claimed I found them, not trying to be mean. Hey, I thought it was the 10th, not 9th. nice to finally get an official release date, i pre-ordered it today so Yay!!! im gonna have to recalibrate my countdown clock. Happy anniversary Spyro! Rock on, you purple awesomeness! I like the achievements, and happy 10th birthday Spyro! Woohoo! sweet! wait so you actually kill Malefor? The last achievement, "Kill Malefor without dying once. ", makes it sound like this is going to be the hardest battle yet. Cannot wait for this game to come out! 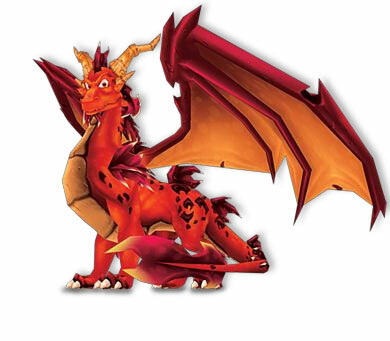 And yes, Happy 10th Birthday Spyro! Hopefully your legacy will continue to grow for a lifetime. i'm going for 1000 points !!!!!!!!!!!!!!!!!!!!!!! One acheivement was about "unlocking all bonus galleries". you like the concept art? The achievements list brings a lot of good news, though: now we know there are multiple armor sets, BONUS GALLERIES, and DID I SEE WHAT I THOUGHT I SAW? E-L-I-T-E ENEMIES! That's "optional boss fights" for me. Thoug i have to wait a hole MONTH before i can actually CELEBRATE his b-day :'(... But belive me it'll be awasome! I'll make an awesome T-shirt with Spyro, Sparx and Cynder, draw awesome pictures of the purple guy at scool, AND PLAY AWESOME SPYRO-GAMES THE HOLE DAY!!!!!!!!!!! Now, dosn't that sound THAT sound awesome?! You don't have to answer... It's the only way i can celebrate the day cuz' you guys at DarkSpyro is the only people i know who loves Spyro..! wait a second........wyverns and shadows? Now why does THAT seem very familiar. wow i can't wait dark52! ty for telling us! woohoo! early christmas present. hah. May the Ancestors watch over you. May they watch over us all. The games story line is SO cliched. Oh, come on. It's a Spyro game, what did you expect? YAY!!!!!!! OMG I can't wait for this game to come out! Should we buy some cake for Spyro's Birthday? i cannot wait for it!Cynder looks so cool!